There's still a lot of life left in the current generation of consoles but industry analyst Jesse Divnich says nothing short of Ragnarok is going to keep Nintendo from coming out on top this time around. 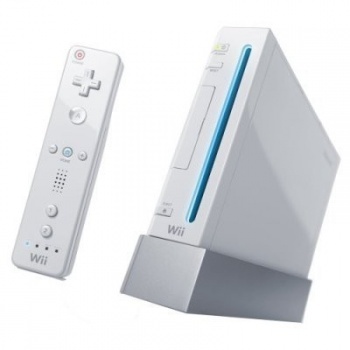 For awhile, the Wii looked unstoppable. Nintendo's console mercilessly pounded the crap out of its Sony and Microsoft counterparts and there were even whispered suggestions from some corners that Sony would be better off washing its hands of the PlayStation 3 and gearing up for the next generation instead. But sales of the Wii have slowed dramatically this year, while the Xbox 360 remains healthy and the PlayStation 3 is finally starting to find its legs. With the current console generation expected to last through 2013, is it possible that the this round of the console wars could have a surprise, come-from-behind winner? Well, no. At least not according to EEDAR analyst Jesse Divnich, who says that even in a worst-case scenario for Nintendo and best-case scenario for everyone else, the Wii has simply built up too much of a lead to overcome. "For the Wii, let us assume a 25% decline in sales next year; followed by two years of 30% declines, and a 50% decline in 2013," he said in a report on IndustryGamers. "For the Xbox 360, we'll assume a 10% increase through 2012, and a 30% decline in 2013. For the PlayStation 3, a 25% increase next year, followed by two years of 10% increases and a 30% decline in 2013." "This is, of course, a worst-case scenario and highly unlikely to occur since the combined sum of hardware sold is nearly 60% more than that of the sixth generation consoles, but Wii sales will only be at par with PS2 sales (in this worst-case scenario)," he continued. "However, even if this scenario were to occur, the Wii would still come out the winner, with some room to breathe." Divnich acknowledged that there are "complications" involved in his prediction, including the unlikely assumption that Nintendo is going to make no moves on the hardware front between now and 2013, and that Sony's plan to support the PS3 through 2016 could give it a substantial boost in sales numbers, "very similar to the late success the PS2 had by being able to offer consumers an incredibly cheap video game system/DVD player." Nonetheless, the real battle now is for second place and despite the "generous lead" held by the Xbox 360, Divnich believes it could turn into a genuine horse race. "The $299 price cut on the PS3 has clearly shifted momentum into Sony's favor," he said. "Is it enough to change Sony's current ranking or could Sony's ten-year support of the PS3 push its installed base ahead of the Xbox 360 in the long-term? Unfortunately, we will need another year of hard data before a comfortable projection can be made, but I am sure until then the heated debates will continue."